Selections from the Dr. Robert H. Derden Collection of Contemporary Art are featured in our October 4 African-American Fine Art sale, a private collection located in Chicago, Illinois. 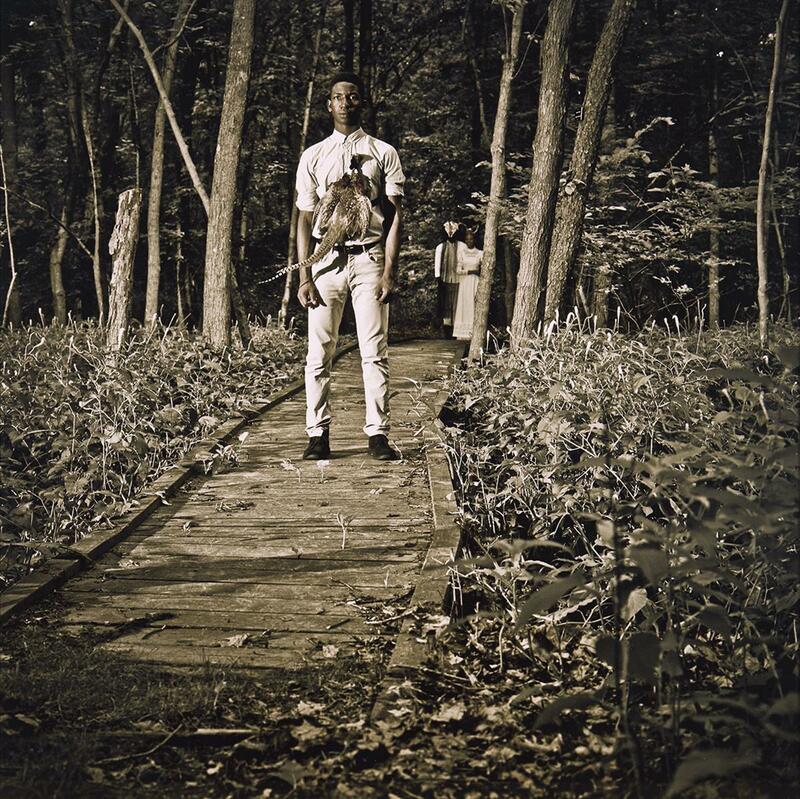 The works showcase the breadth of talent in contemporary African-American artists. Notably, nearly half of the artists are women. Below, we share the featured works by Howardena Pindell, Alison Saar, Lorna Simpson, Kara Walker and Carrie Mae Weems. Lot 167: Lorna Simpson, Counting, photogravure with screenprint, 1991. Estimate $4,000 to $6,000. Simpson primarily features female figures shown from behind or in fragments in her works. 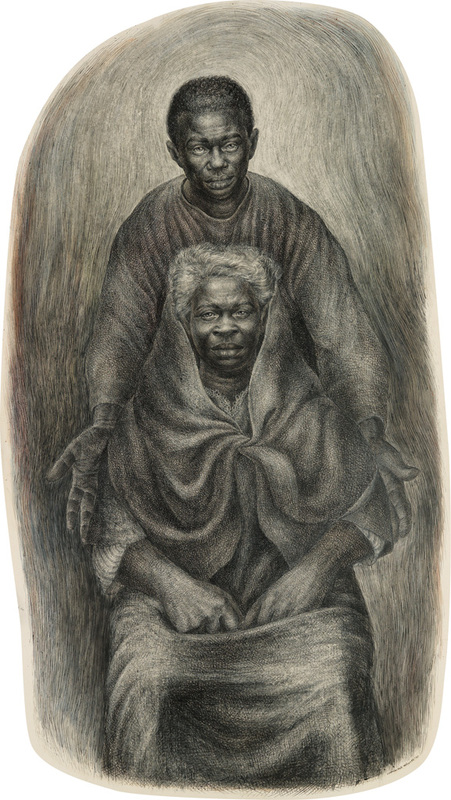 By doing so she draws attention to the historical depersonalization and sexualization of African-American bodies. In Counting, a monumental piece nearly seven feet tall, she brings together imagery that places a social and political emphasis on the physical transformation of hair for African-American women. 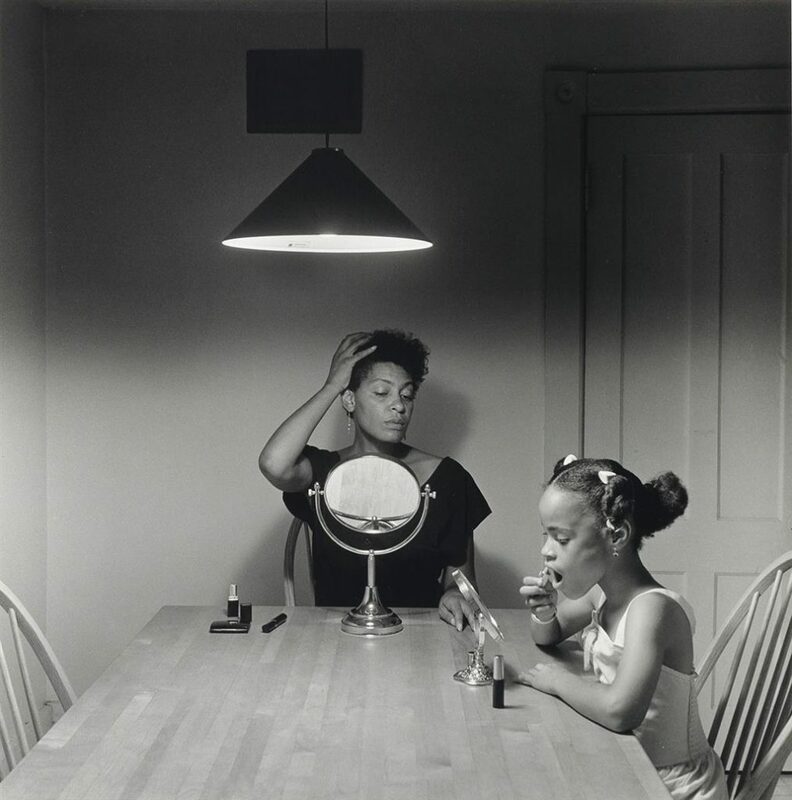 Lot 165: Carrie Mae Weems, Untitled (Woman and daughter with makeup), silver print, 1990. Estimate $3,000 to $5,000. This image from Weems’s notable 1990 Kitchen Table Series, which features the artist herself seated at her kitchen table in various scenarios, examining stereotypes of African-American life. Lot 144: Alison Saar, Dreamer, mixed media, 1988. Estimate $3,000 to $5,000. Alison Saar is a sculptor, mixed-media, and installation artist whose assemblages focus on the experiences related to the African diaspora and African-American female identity. In recent years she has had exhibitions at the National Museum of Women in the Arts in Washington, D.C. and the Center for Contemporary Art and Culture in Portland, OR, as well as a solo show entitled Topsy Turvy at L.A. Louver gallery in March. Lot 119: Howardena Pindell, Video Drawings: Baseball, chromogenic print, 1974-76. Estimate $7,000 to $10,000. 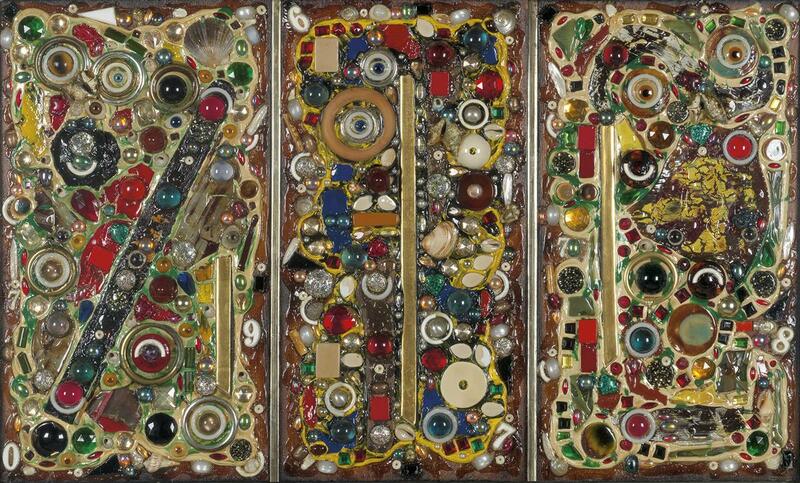 Pindell’s Video Drawing series began in 1973 and has been a reoccurring work throughout her career. The series covers a range of topics including images of sports (as seen in her Video Drawings: Baseball, featured in the auction), to news coverage of Hurricane Katrina in 2007. 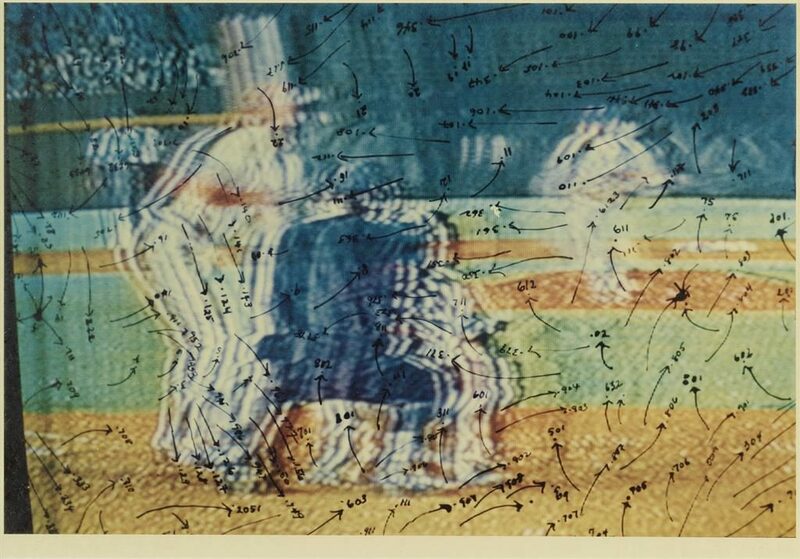 Another print from the Video Drawings: Baseball series is in the Museum of Modern Art, New York and was included in Howardena Pindell: What Remains to be Seen, a retrospective of Pindell’s works at the Museum of Contemporary Art Chicago. 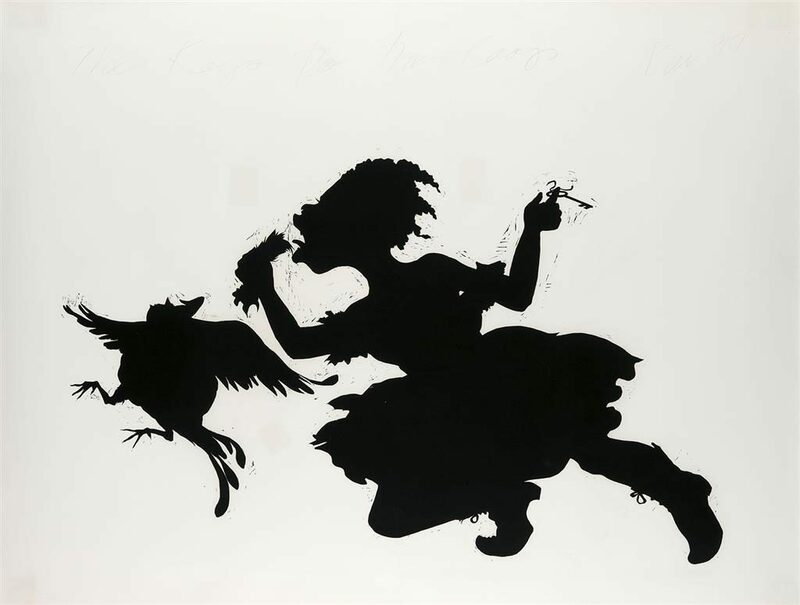 Lot 168: Kara Walker, The Keys to the Coop, linoleum cut on paper, 1997. Estimate $15,000 to $25,000. At nearly five and a half feet wide, the trial proof, The Keys to the Coop, is an example of Walker’s best-known style — room-size tableaux of black cut-paper silhouettes. This print is accompanied with a letter stating that the trial proof is “one of the first pulled off the linocut matrix.” Other impressions of the work are featured in the collections of the Tate Modern, London, and the Brooklyn Museum, New York. 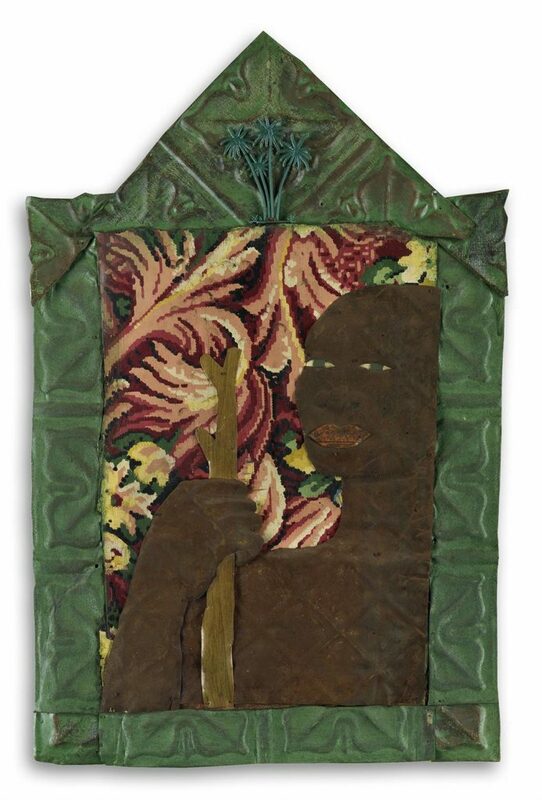 Linoleum cuts by Walker have performed well at auction in recent years: African-American, an image in the same style as The Keys to the Coop, sold at Swann in 2016 for $37,500. For more in our October 4 sale, browse the full catalogue.